94 pages | 12 B/W Illus. 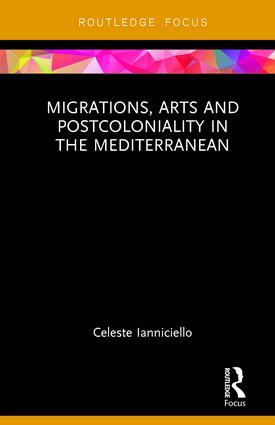 This book is focused on the transcultural memory of the Mediterranean region and the different ways it is articulated by contemporary art practices and museum projects linked to migrations, exile, diaspora and transnationality. The artistic and curatorial examples analysed in this study articulate a critical relationship between the cultural representations and the sense of heritage, property and belonging, offering the opportunity of a more problematic and stimulating vision of the preservation of the European arts, traditions and histories. Artists and projects examined include the project Porto M in Lampedusa, Zineb Sedira, Ursula Biemann, Lara Baladi, Mona Hatoum, Emily Jacir, Kader Attia and Walid Raad. Celeste Ianniciello is an independent researcher and member of the Centre for Postcolonial and Gender Studies, University of Naples "L’Orientale". Routledge Focus on Art History and Visual Studies presents short-form books on varied topics within the fields of art history and visual studies.